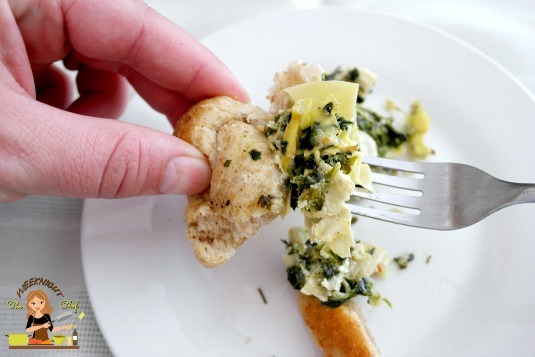 A creative way to make traditional artichoke dip, this recipe adds garlic Parmesan pull -a- part bread instead of baking it in a dish by itself. It looks great, tastes great and well, is something different so why not? The best part is how easy this is to make. 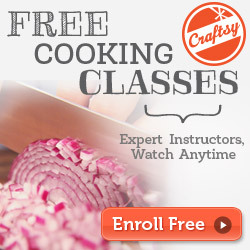 A recipe doesn’t have to be complicated to be delicious or sophisticated. Some of my best dishes have been semi-homemade, contain few ingredients and take about 30 minutes start to finish. 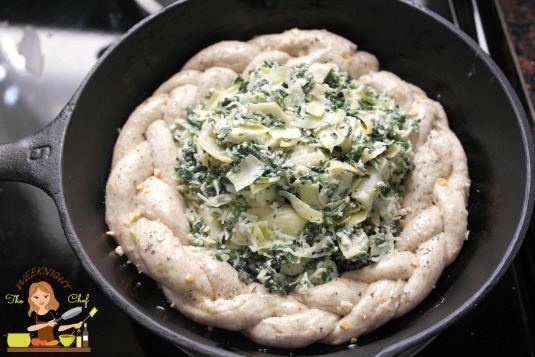 This recipe uses pizza dough instead of making a homemade bread and dealing with yeast. Pizza dough can be pretty versatile if treated the right way. I use it for a lot of different things. Perfect for parties, pot lucks or even a light dinner! Preheat the oven to 425°. 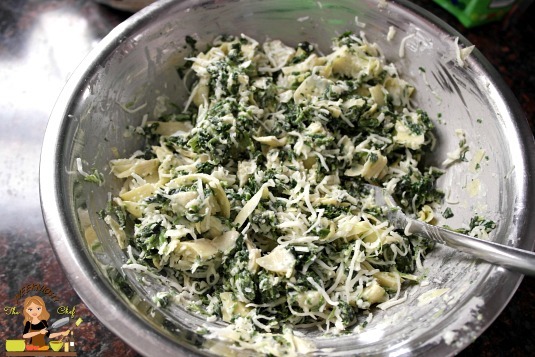 In a small bowl combine the spinach, artichoke, mayonnaise, Parmesan, mozzarella, salt & pepper. Set aside. 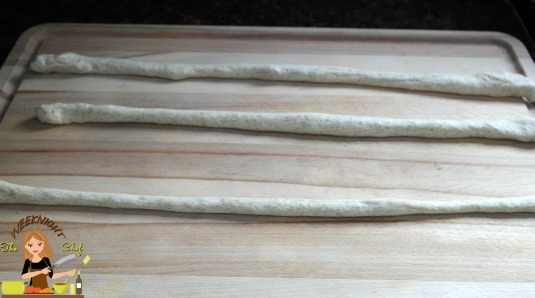 Separate your pizza dough into 3 even pieces. Roll each piece into a long “rope” just as your kiddo would with play doh.. rolling from the middle stretching outward until about 1 inch thick. 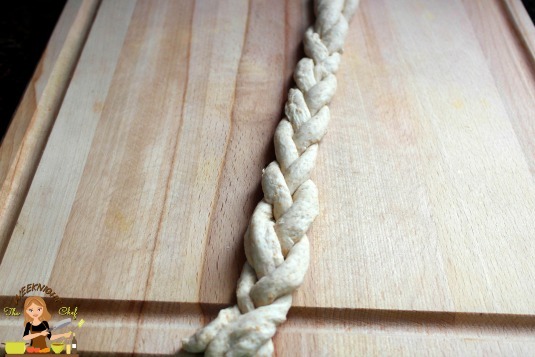 Lay the pieces side by side, carefully pinch the ends together and literally braid the pieces. Do not press together, just lay them one over the other. If you don’t know how to braid you can twist them! 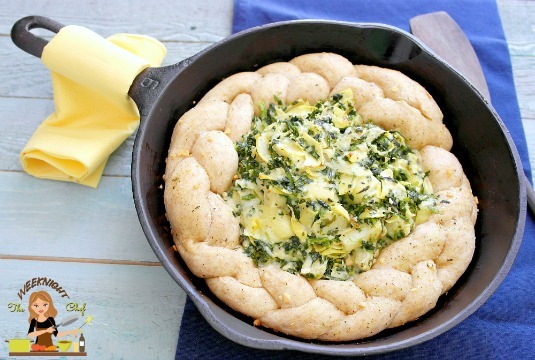 Grease an oven safe skillet or dish with Olive Oil. Place the braid around the edge in a circle. 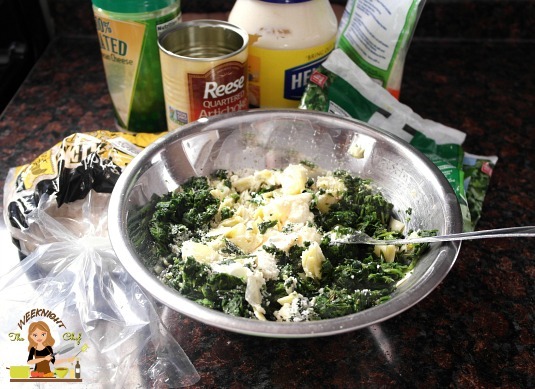 Fill with the spinach artichoke mixture. Pile it right up. The dip will cook down and the dough will rise. Brush the dough with Olive Oil, sprinkle with sea salt and the garlic. Bake on 425° for about 20 minutes or until bread is golden brown. 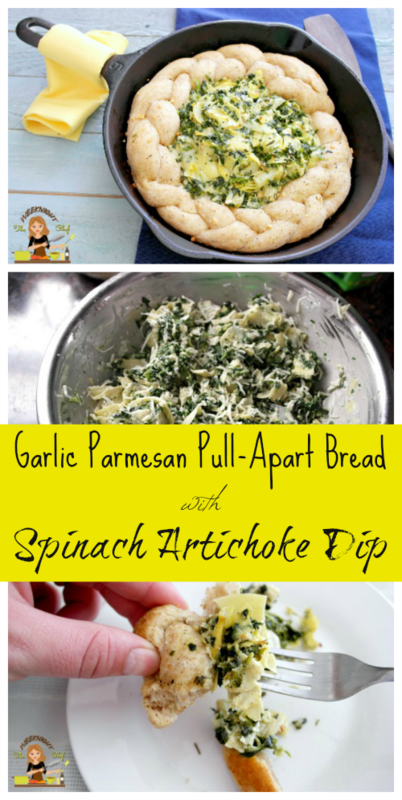 Serve warm, pull apart the bread and scoop up the dip!